This week, students around the world are participating in ‘Hour of Code‘ as part of Computer Science Education Week (December 3-8). 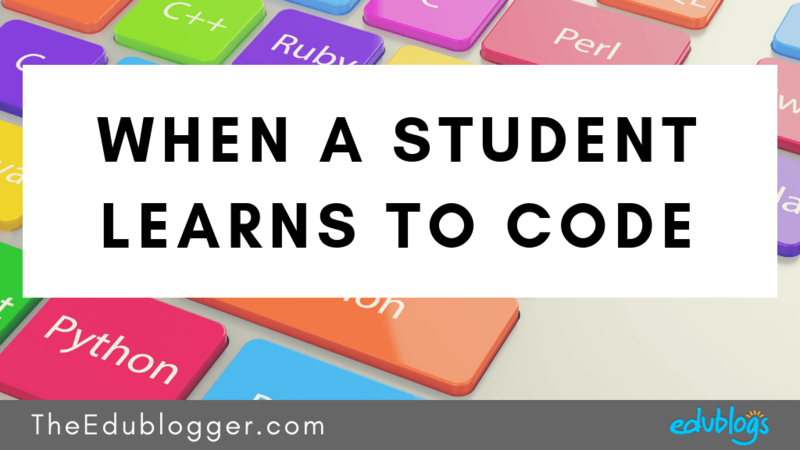 Learning to code can be life changing for students which is why I’d like to introduce you to our colleague who is an inspirational young coder. 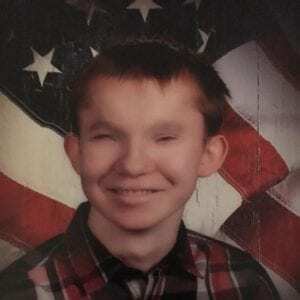 17-year-old Alex is blind and is in his final year of high school. 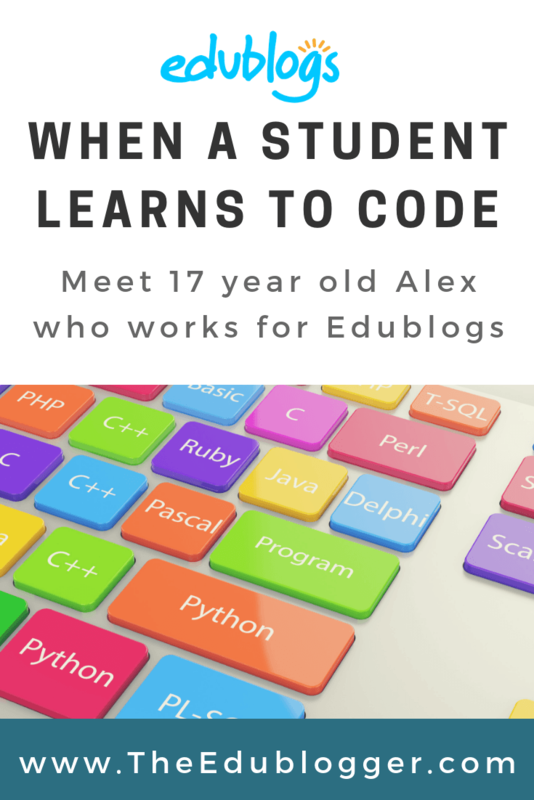 He is an outstanding self-taught coder and a highly valued member of the Edublogs team. Alex became vision impaired during 9th grade and lost most of his sight within 6 months. We invited Alex to share his story for the Student Blogging Challenge. We’re cross-posting it here as it is proving to be very fascinating and inspiring for teachers and students alike. I started here at Incsub in May 2017 just days after I turned sixteen years old. I go to school in the day and work in the night. Although this job can be demanding, I always love the challenge it offers me day by day. My other working time is spent ensuring all Incsub sites (including Edublogs, CampusPress and WPMU DEV) stay completely accessible to visually impaired users who rely on screen reading technology. A screen reader reads aloud the screen for people who can’t see or have other limitations. This screen reader demo for digital accessibility video shows how a screen reader works and the importance of accessibility for the visually impaired. Below is a picture of me at a WordCamp event last year (that’s a WordPress conference. WordPress is the software that powers 30% of the web including Edublogs and CampusPress). I’m wearing the yellow and black hoodie. 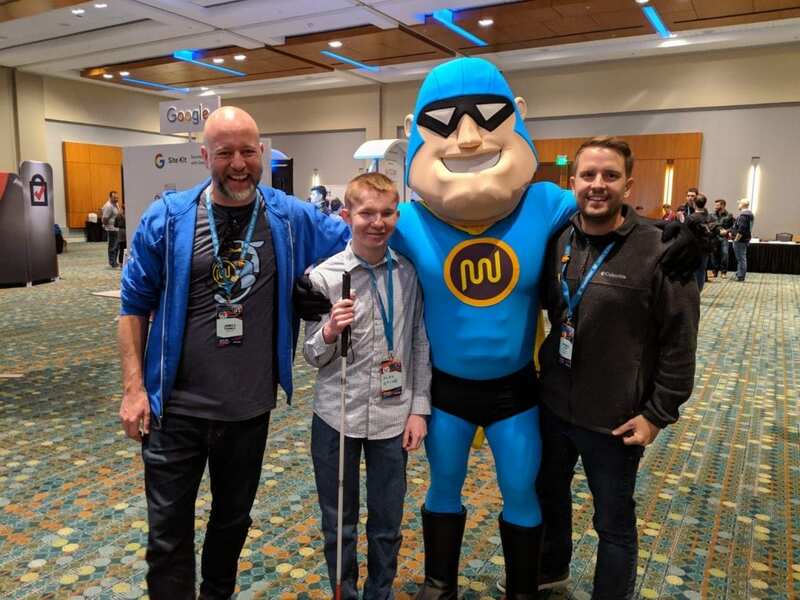 Here is a picture of me at the 2018 WordCamp pictured with James Farmer (left), Ronnie Burt (right) and the WPMU DEV mascot. Students taking part in the Student Blogging Challenge were invited to ask Alex a question. There was an overwhelming response and Alex has answered many questions about coding, using a computer, and his blindness in this post. As Alex has demonstrated, there are no barriers to forging a successful career in coding. His skills help to keep blogs and websites in schools around the world running smoothly. Any comments or questions? Scroll down to find the comment box. Wow… there are no words… that’s… amazing! This topic is so foreign to me. I am trying to understand this new language and this helped me see a progression. Thanks! Thank you Sue and Alex; this is extremely inspirational!